Welcome to the Golden Easter promotion at goldenpalace.be! Click to participate. Please log in first. During the first week of ‘Golden Easter’ we are giving all of our players the chance to receive a reload bonus which we will send by newsletter at the beginning of next week. The reload bonuses will give you an extra bonus on top of your deposit, which you can then use on any games of your choosing. 1 Golden Palace Point equals 1 point. For sports betting every €20 bet on odds of 1.40 or higher also counts as one point. Combination bets are allowed as long as the total odds of the bet are at least 1.40. 1. In order to be eligible for this promotion, players need to confirm their participation by logging in to their goldenpalace.be account and clicking the participation button on the promotion page. 2. This promotion starts on Monday March 25, 2019 at 00.01 a.m. and ends on Sunday March 31, 2019 at 11.59 p.m.
3. Central European Time (CET) is used to determine the beginning and the end of each promotion period. 4. Bonus percentages, maximum bonus amounts and wagering requirements of a bonus code depend on the amount of points earned by players. Players earning 1 to 49 Points during the promotion period will receive a 25% bonus code up to €50 with wagering requirements of 20 times the bonus amount. Players earning 50 to 99 points during the promotion period will receive a 50% bonus code up to €500 with wagering requirements of 15 times the bonus amount. Players earning 100 to 249 points during the promotion period will receive a 50% bonus code up to €100 with wagering requirements of 15 times the bonus amount. Players earning 250 to 499 points during the promotion period will receive a 50% bonus code up to €200 with wagering requirements of 10 times the bonus amount. Players earning over 500 points during the certain promotion period will receive a 100% bonus code up to €200 with wagering requirements of 10 times the bonus amount. 5. For casino games 1 Golden Palace Point equals 1 point. For sports bets every €20 bet on odds of 1.40 or higher also counts as one point. Combination bets are allowed as long as the total odds of the bet are at least 1.40. 6. Players who earn less than 1 point, do not register to the promotion or do not register until after the promotion period is already over will not receive a bonus code. 7. Bonus codes will be sent by newsletter and published on the promotion page on Wednesday, April 3, 2019 at the latest. 8. The bonus codes will stay valid for a period of two weeks. 9. The amount will be added as bonus money. Bonus money must be played on casino or wagered on sports betting with odds of 1.70 or higher before it is converted into real money. For the wagering requirements for the different bonuses, please see clause 4. 10. For the purpose of determining the odds, the potential winnings of a bet selection is divided by the stake. This means players should be careful when placing two bets on the same game (as this highers the stake, but lowers the potential winnings) or placing on multiple games at the same time in one betslip when the average odds are lower than 1.70. Players are however free to place these kinds of bets in separate betslips. 11. Table games (roulette, video poker, blackjack) wagers only count for 25% towards fulfilling the wagering requirements. 12. The game ‘Craps’ does not count towards fulfilling the wagering requirements. 13. Players wager their real money first. Once the real money is depleted, the bonus money will be used. 14. As soon as any bet uses any bonus money (even if the bonus money used is less than the real money used) all winnings from that point on will be added as bonus money until the wagering requirements of the bonus have been met. 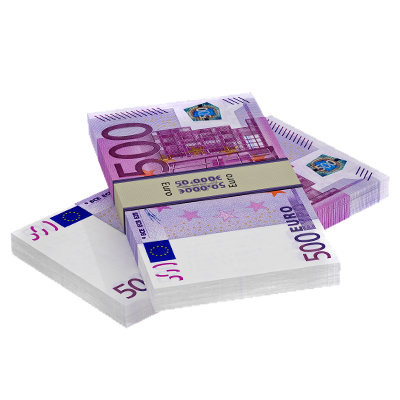 Example: a player has 100 euro real money and 50 euro bonus. He first places a 100 euro bet and then places a 10 euro bet before the result of the 100 euro bet has been determined. Since the 10 euro is bonus money, all winnings from that point on will be added in bonus money, including any winnings from the 100 euro bet. 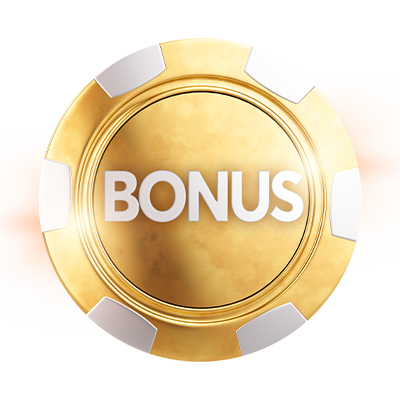 As soon as the wagering requirements of the bonus have been met, all bonus money will be converted into real money. 15. Asking for a payout or activating another bonus without fulfilling the wagering requirements first will void a player’s bonus money. 16. Players have 60 days to fulfill the wagering requirements. After this point, any remaining bonus money will be voided. 17. Real money will not expire or be voided by asking for a payout or activating another bonus. 18. 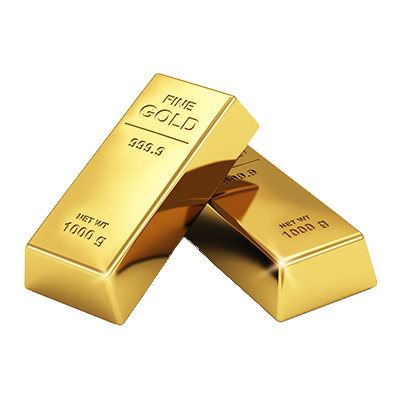 Goldenpalace.be will strive to provide a daily update for participating players. This can however not be guaranteed. Any lack of updates or inaccurate updates do not affect this promotion and its final results are binding. 20. By participating in this promotion, players agree to receive promotional and informational messages about this promotion. This permission only applies to communication about this promotion and does not affect player’s other newsletter preferences. 21. In case of conflict between the different languages of this document, the English version is the one that is considered to be correct. 23. By participating in this promotion, players declare to accept its terms and conditions. 24. In case of a legal dispute with goldenpalace.be regarding this promotion, regardless if this conflict was initiated by goldenpalace.be or not, this dispute can only be ruled on by French speaking courts of Brussels. 25. Goldenpalace.be reserves the right to modify any part of this promotion or this promotion as a whole at its sole discretion. ‘You Play, we Pay’ is back! All casino games are participating this time around. Apart from the guaranteed cashback for every participant one lucky winner (determined by a raffle) will win 150% cashback! To be eligible for the raffle, you simply need to collect at least one Golden Palace Point and make at least one deposit this week. Receive cashback if you don't! 150% cashback for one lucky winner, raffled among all participants. 1. This promotion starts on Monday, April 1, 2019 at 00.01 a.m. CET and ends on Sunday, April 7, 2019 at 11.59 p.m.
2. The results on all casino games are taken into account for this promotion. The results on sports betting are not taken into account. 3. In order to be eligible for cashback, players must have registered to the Golden Easter promotion by first logging in and then clicking the participation button on top of the Golden Easter promotion page. 4. After the end of the promotion period the total of winnings or losses on our participating casino games of each participating player will be calculated. Results of the different promotion days will be added up and will not be taken into account separately. For example: you win €400 on Friday and lose €100 on Saturday. Your total winnings are +€300, your total loss is €0. 5. Players who end a promotion period with a winning result based on the above clause get to keep all of their winnings. 6. It is the net profit or net loss which determines if a refund shall take place, not the amount wagered. 7. Bonus money is considered to be won money for this promotion. Example: you lose 100 euro and buy 50 euro in the VIP shop, which you proceed to cash out. Your total losses are then 100 – 50 = 50, which is the amount that will be used to calculate how much payback you are eligible to. If you would be unfortunate enough to also lose your bonus money, your losses would be 150 – 50 = 100. 8. Players who end a promotion period with a negative result based on clause 4 will be refunded 10% of their losses. 9. Players with the level Bronze 3 or lower in the goldenpalace.be Loyalty System need to wager their cashback amount 10 times to convert it into real money. 10. Players with the level Silver 1, Silver 2 or Silver 3 in the goldenpalace.be Loyalty System need to wager their cashback amount 5 times to convert it into real money. 11. Players with the level Gold 1 or higher in the goldenpalace.be Loyalty System will receive their cashback as cash without wagering requirements. 12.For your results to count, your game session needs to be closed correctly before Sunday, April 7, 2019 at 11.59 p.m. CET. To make sure your session is closed correctly, simply open a new session (it is not necessary to place wagers during this new session). 14. Only the results made in real money play will be taken into account for this promotion. 15. The results of the different casino games are added up. For example: if you win €300 on 'Infinity Dice' and lose €150 on 'Silver Lion', you will end the promotion with a positive balance of €150 and as such will not be eligible for a refund. 16. Players can enter the promotion at any time within the promotion period. Their results of the whole promotion period will be taken into account, even if they only enter after the promotion has already started. 17. The refunds for eligible players will be added to player’s accounts on Wednesday, April 10, 2019 at the latest. 18. A player can receive up to €2,000 cashback. 19. In order to be eligible for the 150% cashback raffle, players need to collect at least one Golden Palace Point and make at least one deposit during the promotion period (April 1 – April 7). 20. If the winner of the 150% cashback raffle has lost money during the promotion week, goldenpalace.be will give back all of that player’s losses as well as 50% extra of that amount. 21. If the winner of the 150% cashback raffle has won money during the promotion week, goldenpalace.be will give that player 50% on top of his/her winnings. 22. In respect of the privacy of its users goldenpalace.be will not communicate the amount of cashback given to the winner of the 150% cashback raffle. Goldenpalace.be however ensures that at least €100 will be given away in this promotion. 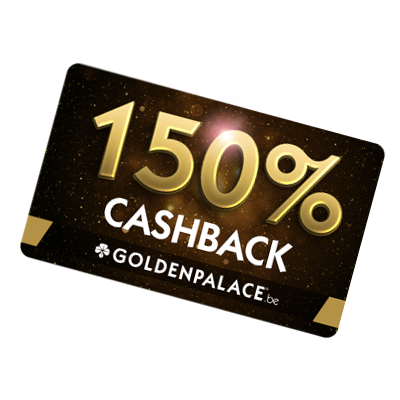 In case the player in first place of the raffle is not eligible to receive at least €100 as a result of being eligible for 150% cashback goldenpalace.be will round up this player's cashback amount to €100. 23. The prizes will be added as bonus money. Bonus money must be played a minimum of 10 times on casino or wagered at least 10 times on sports betting with odds of 1.70 or higher before it is converted into real money. 24. For the purpose of determining the odds, the potential winnings of a bet selection is divided by the stake. This means players should be careful when placing two bets on the same game (as this highers the stake, but lowers the potential winnings) or placing on multiple games at the same time in one betslip when the average odds are lower than 1.70. Players are however free to place these kinds of bets in separate betslips. 25. Table games (roulette, video poker, blackjack) wagers only count for 25% towards fulfilling the wagering requirements. 26. The game ‘Craps’ does not count towards fulfilling the wagering requirements. 27. Players wager their real money first. Once the real money is depleted, the bonus money will be used. 28. As soon as any bet uses any bonus money (even if the bonus money used is less than the real money used) all winnings from that point on will be added as bonus money until the wagering requirements of the bonus have been met. Example: a player has 100 euro real money and 50 euro bonus. He first places a 100 euro bet and then places a 10 euro bet before the result of the 100 euro bet has been determined. Since the 10 euro is bonus money, all winnings from that point on will be added in bonus money, including any winnings from the 100 euro bet. As soon as the wagering requirements of the bonus have been met, all bonus money will be converted into real money. 29. Asking for a payout or activating another bonus without fulfilling the wagering requirements first will void a player’s bonus money. 30. Players have 14 days to fulfill the wagering requirements. After this point, any remaining bonus money will be voided. 31. Real money will not expire or be voided by asking for a payout or activating another bonus. 32. By participating in this promotion, players agree to receive promotional and informational messages about this promotion. This permission only applies to communication about this promotion and does not affect player’s other newsletter preferences. 34. By participating in this promotion, players declare to accept its terms and conditions. 35. In case of conflict between the different languages of this document, the English version is the one that is considered to be correct. 36. In case of a legal dispute with goldenpalace.be regarding this promotion, regardless if this conflict was initiated by goldenpalace.be or not, this dispute can only be ruled on by French speaking courts of Brussels. 37. Goldenpalace.be reserves the right to modify any part of this promotion or this promotion as a whole at its sole discretion. This week Golden Easter is continuing with a €10,000 Race. We will reward no less than 100 players with a cash prize. That means your prize will be added to your account without wagering requirements! In order to reach the top 100, all you need to do is to confirm your participation on top of this page if you haven't already and start collecting points! You can earn points on all of our casino games (1 Golden Palace Point = 10 points) or on sports betting (€20 bet at odds of 1.40+ = 10 points). You are currently not logged in. Please log in to see your score. 2. This promotion starts on Monday April 8, 2019 at 00.01 a.m. and ends on Sunday April 14, 2019 at 11.59 p.m.
4. By participating in this promotion, players will be ranked by the amount of points earned on the promotion games. 5. Under “promotion games” is meant all casino games (1 GPP = 10 points) as well as sports betting (every €20 bet on odds of 1.40 or higher = 10 points). 6. Depending on their ranking at the end of the promotion period players will receive the following cash prizes: €2,000 for first place, €1,500 for second place, €1,000 for third place, €600 for fourth and fifth place, €400 for sixth and seventh place, €250 for eight to tenth place, €150 for eleventh to fifteenth place, €100 for sixteenth to twentieth place, €75 for twenty-first to thirtieth place, €50 for thirty-first to fiftieth place, €25 for fifty-first to seventy-fifth place and €10 for seventy-sixth to hundredth place. 7. In case there is a tie, all players with an identical score will evenly divide the total prize money they are eligible for. E.g. two players tie for first place, both players will receive (€2,000 + €1,500) /2 = €1,750; five players tie for 48th place, they will all receive (€50 x 3) / 5 = €30. 9. The prizes awarded in this promotion will be added to the accounts of the eligible players on Wednesday, April 17, 2019 at the latest. 10. Goldenpalace.be will strive to provide a daily update for participating players. This can however not be guaranteed. Any lack of updates or inaccurate updates do not affect this promotion and its final results are binding. 11. By participating in this promotion, players agree to receive promotional and informational messages about this promotion. This permission only applies to communication about this promotion and does not affect player’s other newsletter preferences. 13. By participating in this promotion, players declare to accept its terms and conditions. 14. In case of conflict between the different languages of this document, the English version is the one that is considered to be correct. 15. In case of a legal dispute with goldenpalace.be regarding this promotion, regardless if this conflict was initiated by goldenpalace.be or not, this dispute can only be ruled on by French speaking courts of Brussels. 16. Goldenpalace.be reserves the right to modify any part of this promotion or this promotion as a whole at its sole discretion. During the fourth week of Golden Easter, we are putting our most popular games in the spotlight with a new edition of Spin & Win. Simply try out our game of the day for a minimum of 10 spins to be entered in that day’s daily raffle. The top 3 of each raffle will receive €100 bonus! 1. Only players who confirm their participation through the promotion page are eligible for this promotion. Once a player has confirmed his or her participation, this confirmation is valid for all promotion days. 2. This promotion starts on Monday, April 15, 2019 at 00.01 a.m. and ends on Sunday, April 21, 2019 at 11.59 p.m.
3. To be eligible for the 3x €100 casino raffle of a certain promotion day, players need to play at least 10 spins on that day’s game of the day. 4. Players need to close their session (close down the game) before midnight in order for their spins to count for that day. They can of course launch a new session directly after. 5. CET is used to determine the beginning and the end of each promotion day. 6. Only real money wagers count for this promotion. 7. All available stakes on the game of the day count for the promotion. 8. Goldenpalace.be will decide the winners of each promotion day within 72 hours of the end of each promotion day through the use of a raffle on random.org. Only players who fulfil the requirements above will be eligible for the raffle. 9. Goldenpalace.be will strive to update the game of the day shortly after midnight each day. It is however the responsibility of the player to make sure that they are playing the correct game for a certain promotion day. The date is always mentioned next to the game of the day. If this date is not correct, then the game of the day has yet to be updated. 10. The €100 raffle prizes will be added as bonus money. Bonus money must be played a minimum of 5 times on casino or wagered at least 5 times on sports betting with odds of 1.70 or higher before it is converted into real money. 11. For the purpose of determining the odds, the potential winnings of a bet selection is divided by the stake. This means players should be careful when placing two bets on the same game (as this highers the stake, but lowers the potential winnings) or placing on multiple games at the same time in one betslip when the average odds are lower than 1.70. Players are however free to place these kinds of bets in separate betslips. 12. Table games (roulette, video poker, blackjack) wagers only count for 25% towards fulfilling the wagering requirements. 13. The game ‘Craps’ does not count towards fulfilling the wagering requirements. 14. Players wager their real money first. Once the real money is depleted, the bonus money will be used. 15. As soon as any bet uses any bonus money (even if the bonus money used is less than the real money used) all winnings from that point on will be added as bonus money until the wagering requirements of the bonus have been met. Example: a player has 100 euro real money and 50 euro bonus. He first places a 100 euro bet and then places a 10 euro bet before the result of the 100 euro bet has been determined. Since the 10 euro is bonus money, all winnings from that point on will be added in bonus money, including any winnings from the 100 euro bet. As soon as the wagering requirements of the bonus have been met, all bonus money will be converted into real money. 16. Asking for a payout or activating another bonus without fulfilling the wagering requirements first will void a player’s bonus money. 17. Players have 14 days to fulfill the wagering requirements. After this point, any remaining bonus money will be voided. 18. Real money will not expire or be voided by asking for a payout or activating another bonus. 19. By participating in this promotion, players agree to receive promotional and informational messages about this promotion. This permission only applies to communication about this promotion and does not affect player’s other newsletter preferences. 21. By participating in this promotion, players declare to accept its terms and conditions. 22. In case of conflict between the different languages of this document, the English version is the one that is considered to be correct. 23. In case of a legal dispute with goldenpalace.be regarding this promotion, regardless if this conflict was initiated by goldenpalace.be or not, this dispute can only be ruled on by French speaking courts of Brussels. 24. Goldenpalace.be reserves the right to modify any part of this promotion or this promotion as a whole at its sole discretion.